The Unheard Egypt: Islam Khalil: Former Egyptian prisoner disappeared again! Islam Khalil: Former Egyptian prisoner disappeared again! Arabic text is translated below. Please help us and Islam family's share his story. يوم الخميس 8 مارس شقيقي اسلام خليل سافر اسوان وكنت على اتصال معه حتى صباح يوم السبت 10 مارس، في البداية تخيلت ان ممكن يكون الموبايل فصل لكن لحد النهاردة مفيش اي تواصل معاه . وردت لنا أنباء بأن إسلام قد ألقي القبض عليه، إلا أن قسم شرطة أسوان أنكر وجوده لديهم فتقدمنا بتليغراف للنائب العام يوم 15 مارس برقم 259232678 بالواقعة. بعدها وصلتنا اخبار انه هيظهر في محكمة قنا العسكرية اليوم الأحد 18 مارس متهما بتواجده في منطقة عسكرية، إلا أنه لم يظهر في المحكمة أيضا، وبسؤال النيابة قيل لنا أنه لم يعرض عليها أصلا واتصلت النيابة بكل من نيابة الغردقة ونيابة أسوان فقيل لها أنه غير متواجد لدى أي منهما. حتى الآن لم يصلنا أي رد أو أنباء عن مكان تواجده. أخويا إسلام خليل مختفي قسريا منذ السبت 10 مارس 2018 ومحتجز بدون اي سند قانوني . اسلام اتقبض عليه سابقا في 24 مايو 2015 واختفي وقتها 122 يوم اتعرض فيهم لابشع انواع التعذيب اللي لسه لحد دلوقتي كان بيحاول يتخطي اثاره الصحية والنفسية عليه ، ولما ظهر بعد اختفائه اتسجن سنة كاملة في ظروف احتجاز غير انسانية وبعد اخلاء سبيله بكفالة 50 الف جنيه الداخلية رفضت اخلاء سبيله وعملوله قضية جديدة خد فيها اخلاء سبيل ، وبعد ما خرج من السجن اتعرض للاحتجاز مرتين غير التضييق اللي كان بيحصل ضده ... دلوقتي اسلام محتجز لدي الاجهزة الامنية ومفيش اي معلومات عنه . On Thursday, 8th of March , my brother Islam Khalil traveled to Aswan and I was in contact with him until Saturday morning 10th of March . In the beginning I thought that his mobile could be out of charge ,but till this moment we still have no contact with him. We got information that Islam had been arrested, however the police department of Aswan denied his presence there. We sent a telegraph to the General attorney on 15th of March( No. 259232678 ). 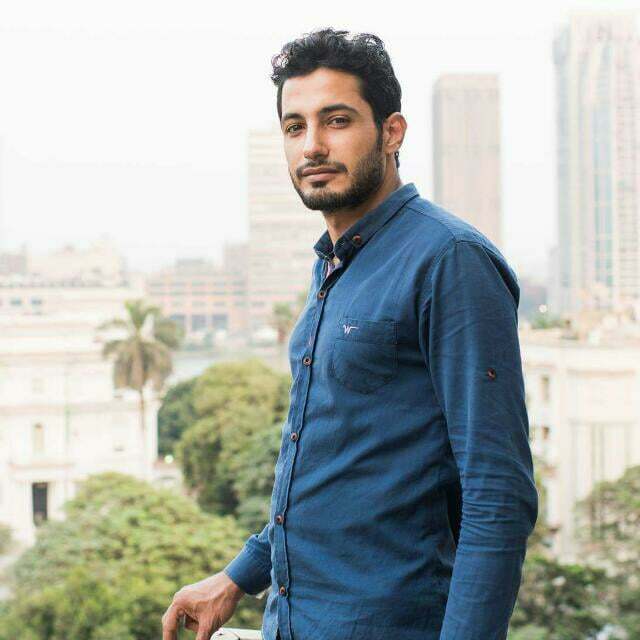 After that we received another information that Islam appeared in the Military Court of Qena on Sunday, 18 th of March, accused of being in a military zone, but unfortunately he did not appear in the court . Then we were told by the prosecution representative that they know nothing about him and contacted the prosecution offices in Hurghada and Aswan ,who informed him that Islam is not there. Till now we still have not received any response or information which could reveal where my brother is. Islam Khalil has been forcibly disappeared since Saturday 10th of March 2018 and he is detained without any legal basis. Islam was arrested before on May 24, 2015, and disappeared for 122 days. He was subjected to the worst forms of torture. He was still trying to overcome the physical and psychological effects of this experience. After his disappearance, he was imprisoned for one year under inhumane conditions. When he has been released on bail, the internal ministry kept him imprisoned and fabricated a new case against him in which he was also released, but then got detained twice after that.